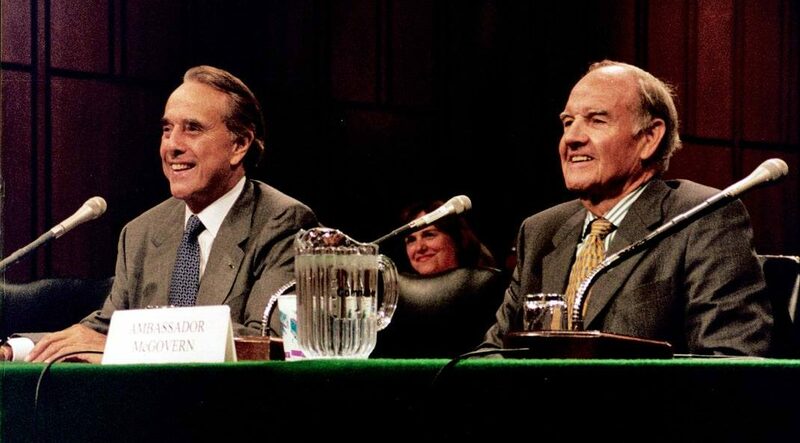 The McGovern-Dole Leadership Award bears the names of Senator Robert Dole and the late Senator George McGovern to recognize their strong commitment to ending world hunger and honor their pioneering efforts, and that of others, to feed the hungry both in the U.S. and around the world. Senators George McGovern and Bob Dole worked across party lines, putting partisanship aside for the shared purpose of feeding the most vulnerable members of our global community. For the past 17 years, WFP USA has hosted an awards ceremony to recognize leaders who have played a critical role in the fight against global hunger. 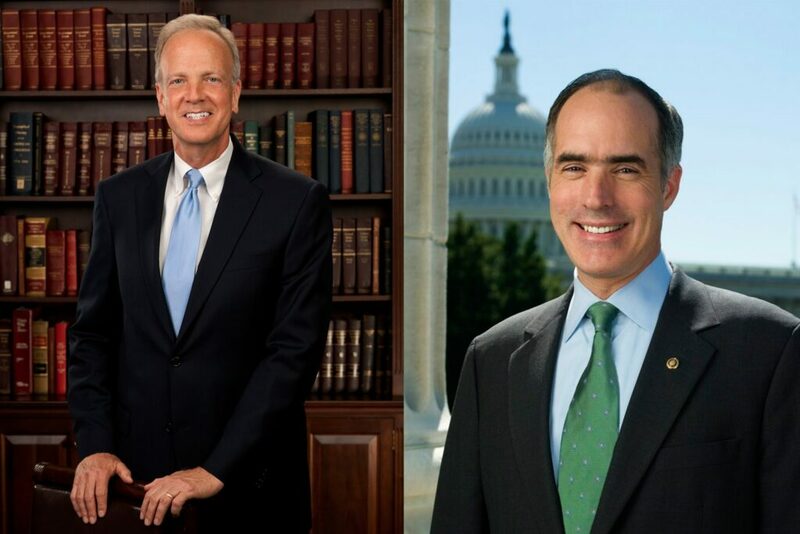 In 2017, we presented the award to Senator Jerry Moran (R-KS) and Senator Bob Casey (D-PA) in honor of their tireless leadership over many years to alleviate global hunger. George McGovern reads with students in a rural Chinese primary school.